PayPal is a worldwide popular online payment gateway. Several popular e-commerce sites, online vendors and auction sites allow making transactions via credit card or PayPal account. This monetary gateway is simple, quick, secure and easy. This American Company operates worldwide and offers the best electronic alternative to the traditional paper methods. The online payment processor charges a fee for making the online transactions. People from different countries access this global online payment gateway. The citizens from Nepal face difficulties while opening PayPal account. 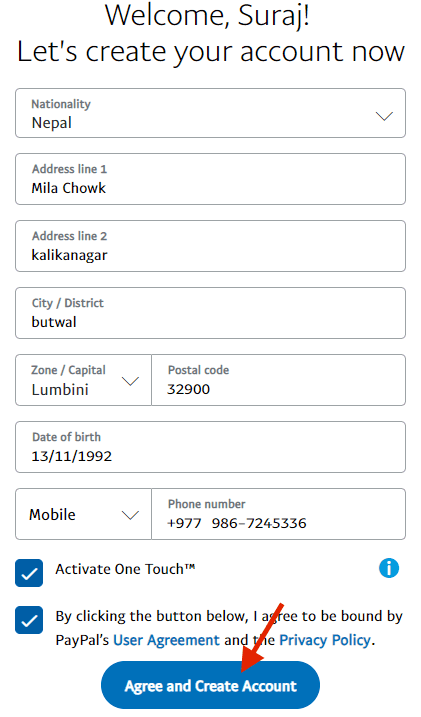 Do you know how to make PayPal account in Nepal? Let’s learn about the authentic steps to open a PayPal account stating Nepal as the country! The Nepal citizens can create an account on PayPal free of cost. You have to go through the verification process strictly to open an account. The verification process includes verification of Bank Account, Visa/Master Card and Address Proof documents. The citizens face difficulty in the verification process as there are no banks in Nepal directly linked with PayPal. It is not possible to transfer money from the local bank account to PayPal account for which the account remains unverified. The Nepal Rastra Bank laid restrictions and requires an explanation for every transaction made out of the country. Important Note: Before you open PayPal account, you have to sign up for Payoneer and place an order for Payoneer MasterCard. You have to use the Payoneer MasterCard to complete the account verification process. Make sure to keep some balance available in the MasterCard! Step 1: Open the official website of PayPal at www.paypal.com. Follow the step-by-step process to open the account. You have to enter/select the country or region as Nepal. 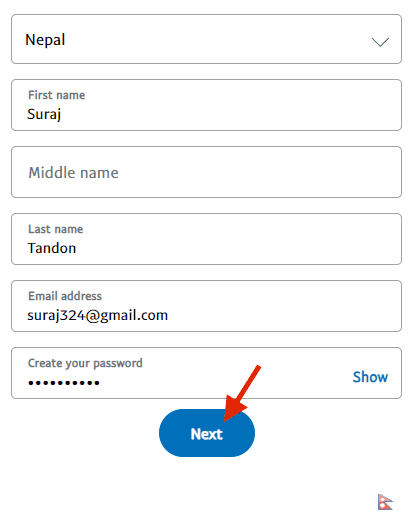 Step 2: Fill up the account opening form providing individual details. Enter your address, postal code, date of birth and mobile number. Next click 'Agree and create account' button. 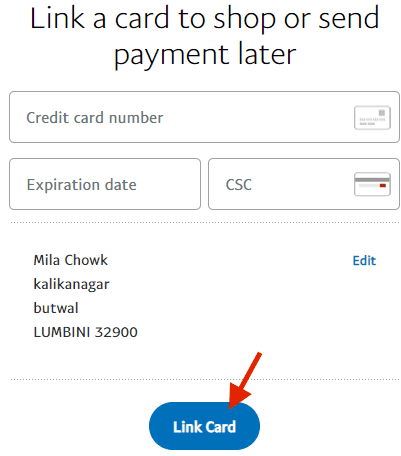 Step 3: You have link your credit card to use Paypal Nepal services. Enter the Payoneer MasterCard details and click on 'Link Card' Button. After the completion of the Sign Up process, PayPal will use the Payoneer MasterCard and make two small withdrawals. Login to the Payoneer Account and view the transaction history. The transaction history will show after around two days. Once the transaction history is available, enter the amount in PayPal. The PayPal account verification process will complete after you enter the transaction amount. Also, you need to confirm your email address. Important Note: You can use the PayPal account in Nepal for sending payments. You can’t receive payments in your PayPal account in Nepal.